Starting at MTV in January 2016, the Shannara Chronicles are the TV series adaptation of best selling fantasy novels by Terry Brooks. Starring Poppy Drayton, Austin Butler, Ivana Baquero, Manu Bennett and John Rhys-Davies, the series is executive produced by Jon Favreau, Al Gough, Miles Millar /the guys who did Smallville) and author Terry Brooks. The story of the show and books follows an Elven Princess, Amberle, a half-human half-elf, Wil, and a human, Eretria, as they embark on a quest to stop a Demon army from destroying their home. Check out the trailer above! We, as fans of superhero comics and movies, are in a golden age right now. We get more superhero movies each year than ever before and the quality between those movies is also higher than almost in every other genre out there, so I would see ourselves as a very happy part of geekdom. Other people are starting to talk about superhero fatigue and that there are too many superhero movies. Being interviewed about his new movie “The Man From UNCLE”, Superman Henry Cavill was asked about this very problem: superhero fatigue. I think this is nothing to worry about. We as fans of this genre should just enjoy this wide selection of superhero themed movies, videogames and the like, for as long as its going to last. If the quality of the movies stays on the same level I doubt we are going to have to worry about anything. 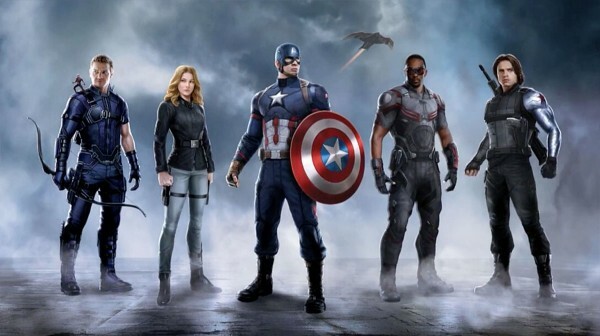 After months of speculation of who will fight with whom and who will team up on which side of the conflict, now we have our final answer: Team Cap is Hawkeye, Agent 13, Cap, Ant-Man, Falcon, Winter Soldier vs. 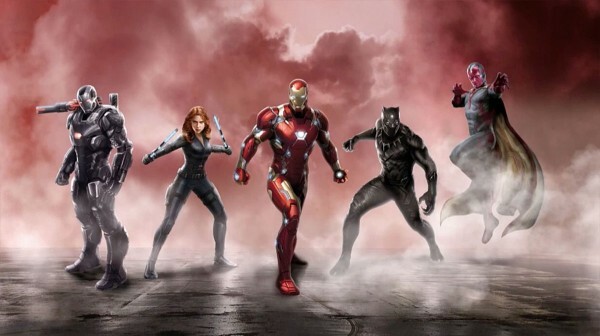 Team Iron which is comprised of War Machine, Black Widow, Iron Man, Vision and newbie Black Panther. Check out the amazing concept art to see the teams in their new duds! I really have to say that I am a bit disappointed that Daredevil really doesn’t seem to play any part in the movie version of Civil War, while being an important part of the comic. Same goes for Punisher. But maybe they still get cameos, as we still haven’t seen an image for Spider-man, who will also be in the conflict. 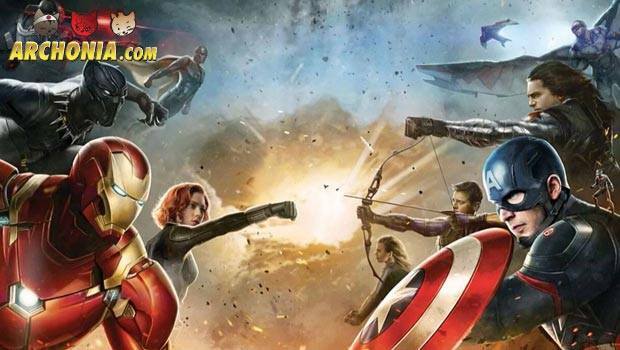 Also: how the hell is team Cap going to compete with team Iron? Iron Man’s team is vastly more powerful! I am really excited to see the movie to find out! Cap and his friends are in a real underdog position! Bring on the Civil War, Marvel! Archonia is ready! Upcoming DC/WB movie Suicide Squad finished production last week. 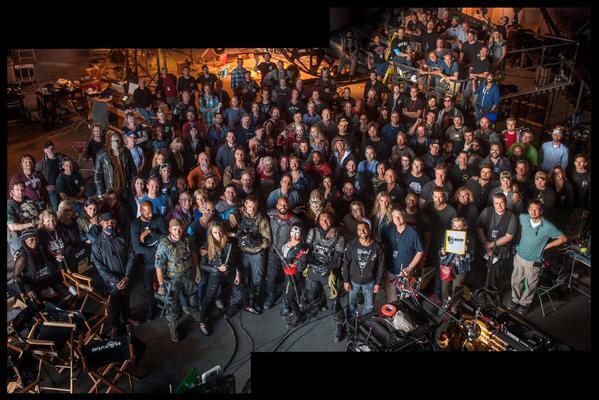 Director David Ayer tweeted out a pretty cool picture of the cast and crew to commemorate that fact. Check out the pretty cool picture above. Jared Leto has also shed his green hair and now Ayer and the DC braintrust go into editing and post production. Really excited to see the movie next year. Trust me… I have a feeling it is gonna be great. The Hollywood Reporter got word that horror legend Wes Craven died after a long battle with brain cancer at 76. 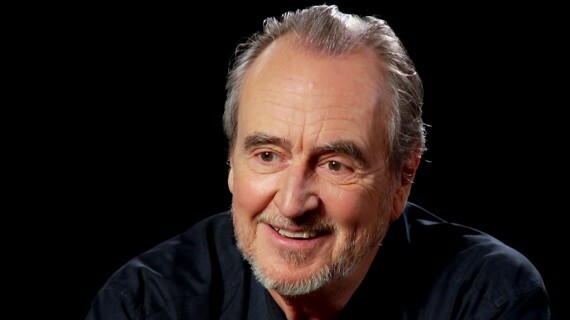 Craven was most famous for creating horror icon Freddy Kruger and directing the first and seventh Nightmare on Elm Street movie as well as creating and directing the Scream franchise. Gotham returns this September with a new season. What does Bruce find behind the hidden door in the fireplace? Is Jerome really the Joker? What other crazies will Gordon have to deal with? All that will be answered soon. Butch actor Drew Powell has been upgraded to series regular and talks a bit about that and the upcoming season with comicbook.com. 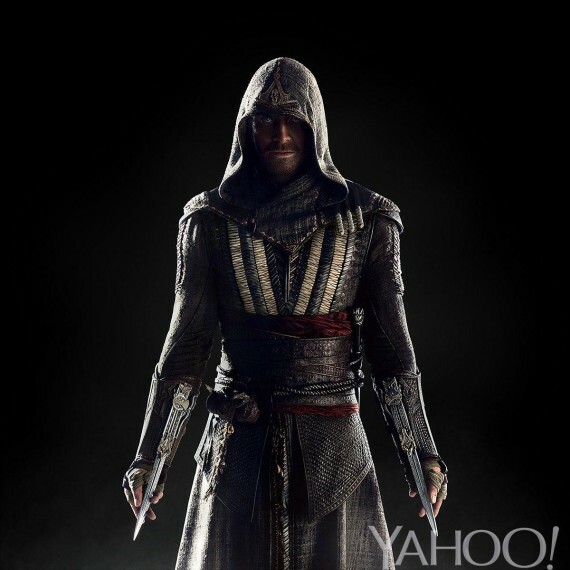 Courtesy of Yahoo movies, we got the first look at Michael Fassbender in the upcoming Assassin’s Creed movie. Directed by Justin Kurzel the movie follows Fassbender’s character Lynch who experiences the adventures of his ancestor Aguilar in 15th-century Spain, through a technological marvel called the animus. Discovering that he has roots in a mysterious secret society called the Assassins, Lynch learns the knowledge and skills to take on the mortal enemies of the assassins, the Templar organisation, in the present. The movie opens Dec. 21 2016 and filming starts today! Very excited about this, as it may turn out to be the first legitimately good videogame movie adaption. We’ll see next year. Previous Post : Star Wars Force Friday Giveaway! Next Post : Geekly News Round-up!